St Martins Place is a 228 unit residential scheme (spread across 3 towers varying between 6 and 17 storeys) together with commercial units, car parking, communal and service areas, associated external works, drainage and services. 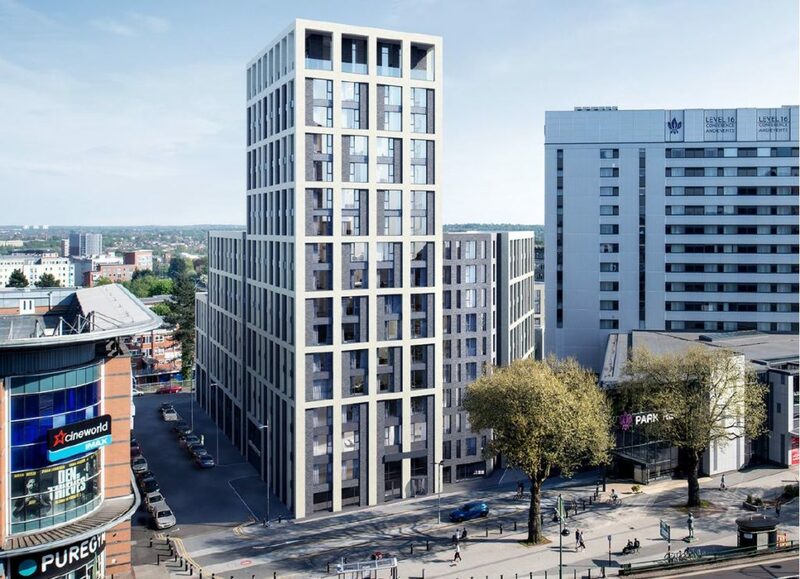 St Martins Place, Phase 2 of the Park Regis development, sees the redevelopment of of the Park Regis car-park into a stand alone block of 228 units, including a mix of 1 and 2 bedroom apartments and penthouses. Notable features include a ground floor cinema, gym and wi-fi café for residents, and 3rd floor communal garden. This development is one of many currently being delivered for Seven Capital in and around the country. Our diligent and pragmatic approach to cost and project management has resulted in a strong bond with the Client, which we aim to maintain from project inception to completion.